Breast cancer is in fact the most common cancer affecting women in the UK. Like any cancer, breast malignancies forms because of cells in the body (in this case, in the breast tissue) dividing uncontrollably and forming a cancerous mass, called a tumour. There are many different types of breast cancer. At the moment, it is thought that 1 in 8 women in the UK will develop breast cancer at some point. However, it’s also important to remember that about 85% of people survive breast cancer for more than 5 years – if detected early, the prognosis is often good. Breast cancer can sometimes spread (metastasise) to other areas of the body via the blood stream or lymphatic system, and, if it does spread, it commonly does so to the lung, liver and bones. Women are more likely to acquire it than men, although note that this cancer can affect both genders and about 340 men are diagnosed with it each year. Around 5-10% of breast cancer cases are caused by inherited genes, such as BRCA1 and BRCA2. This is why a family history of cancer is an important risk factor for us to take into account when assessing your risk – if you have inherited one of these genes from a family member, you are advised to have more regular breast cancer screening. It is important to note that breast pain is not a common feature of breast cancer. We offer BRCA1/2 genetic testing for anyone wanting to use this service privately through us instead of the NHS. Our GPs can also do general breast exams for anyone concerned about potential breast cancer symptoms. We can then arrange private specialist referrals for further ultrasounds, mammograms and other specialist investigations if necessary. Mammograms (x-rays of the breast) are the most commonly used imaging technique for detecting breast cancer. If you think you’re at a higher risk of developing breast cancer because of any of the risk factors mentioned above, it is advisable for you to discuss this with your GP so that they can assess whether any further investigations are required. 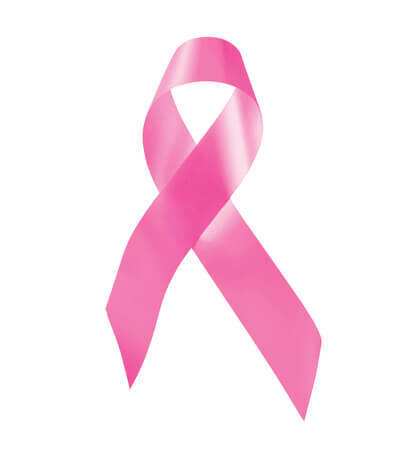 Treatment of breast cancer may involve chemotherapy, radiotherapy, hormone therapy or surgery. As mentioned before, if detected early, breast cancer can often be treated before it spreading to other parts of the body. If you’re living with breast cancer, there are many support agencies available, either within the hospital or through charities that are there to guide you through the treatment process and provide a helping hand. The most important thing to take away from this is to regularly examine yourself for any breast changes– this cannot be stressed enough! If you have any concerns about breast cancer you can book an appointment with one of our affordable Private GPs who will be able to discuss this with you at any London Clinic of our 8 locations, including our new Fleet Street clinic.